"He is suited by the conditions of this race ,and is fairly priced at [7.6] on the exchange"
Horseplay looks like the one to beat in this Group 2 event. 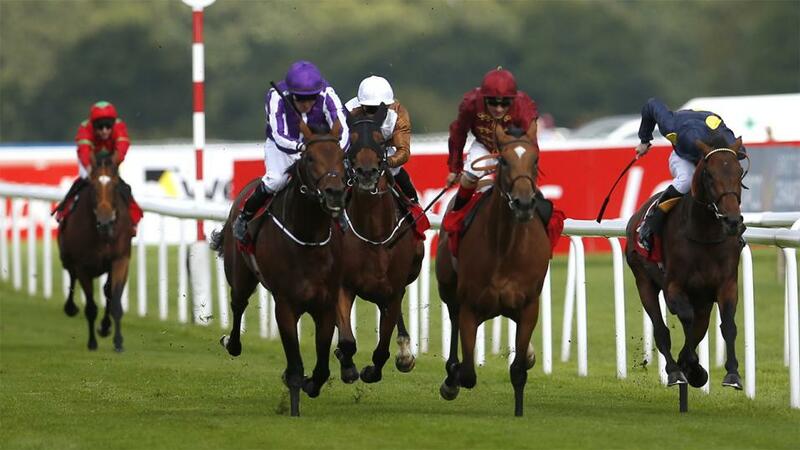 This filly finished fourth to the smart Sea Of Class in the Yorkshire Oaks last month. She held every chance a furlong from home, but failed to quicken when the pace lifted. She had previously won a Group 2 at Haydock, which reads well in the context of this race. I think she will be suited by the extra yardage and is attractively priced at [4.3] on the exchange. Pillaster is the short priced favourite at [2.44] on the exchange. She scrambled home in the Lillie Langtry at Goodwood, but has a progressive profile having won her last three starts. The Irish Rover should go close in this sales race. This No Nay Never colt has run well in higher company, and was not disgraced in the Group 1 Phoenix Stakes behind Advertised. On his latest start he finished a closing fourth to Emaraaty Ana in a Group 2 at York. He is suited by the conditions of this race ,and is fairly priced at [7.6] on the exchange. Aim Power just heads the market at [6.6] on the exchange. She finished a respectable fourth to Princess Power at Goodwood and should have more to offer. She has been ridden positively in the past and may benefit from similar tactics.